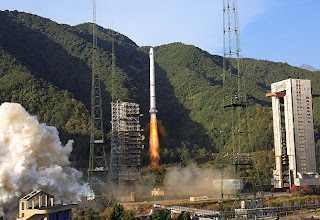 As you have probably heard in news, China recently shot down one of their own satellites from ground as part of missile testing. In the event of a major war, first thing the china would probably do to shoot down all the lower orbit spy satellites. At the moment, it seems that China is demonstrating military capabilities mainly at United States. Possible damages that can be caused by the space debris left by the shooting. New international laws to prevent activities in space which is harmful to many nations. Here's the article on Time magazine for more information.